Tag Archive | "business ultrabook"
As I continue my review of the HP Pro X2 410 G1 [first impressions] I’m acutely aware of what’s going on around it this week. The Surface Pro 3 and new products and announcements at Computex have us all thinking about larger-screen tablets and 2-in-1s. 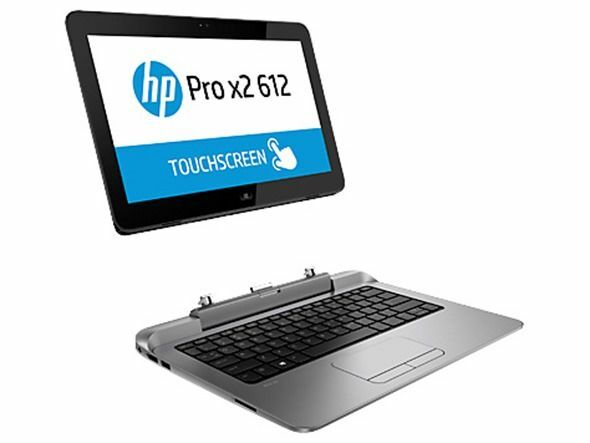 One competitor was from HP themselves as Microsoft held up the Pro X2 612 on stage at their keynote. It offers a full HD screen, SSD and Wacom options that aren’t available with the X2 410. It also offers a range of CPUs that start with a Celeron (4th gen Core) and go up to Core i5. 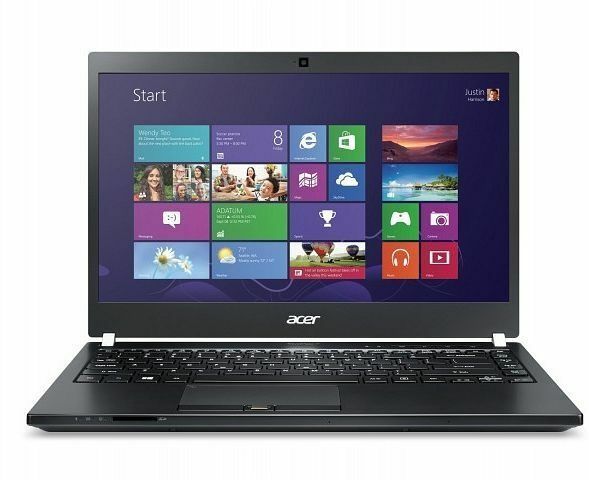 It’s getting confusing in the business category as thin laptops get presented as Ultrabooks with non-ultrabook specs. 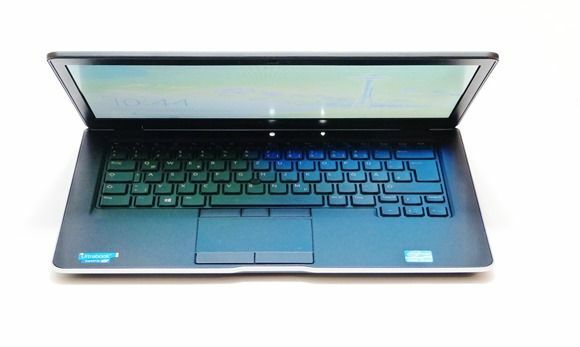 The Dell Latitude E7440 comes in an HDD, non-touch Windows 7 version which isn’t an Ultrabook. Add the SSD and touchscreen and shazam! The problem here is that these HDD-only versions are noticeably slower in use and that they break and lower the value of the Ultrabook brand. The Acer P645 does the same. An impressive-looking Fujitsu Lifebook U904 model with Win 8 Pro, 14-inch 3200×1800 IGZO touch screen, VPro, 10GB RAM, 4G, 256GB SSD, fingerprint reader, weighing, 1.39KG and offering up to 8 hours of battery life is going to cost you 1800 Euros after tax but wow, it’s looking like a very impressive bit of professional Ultrabook. 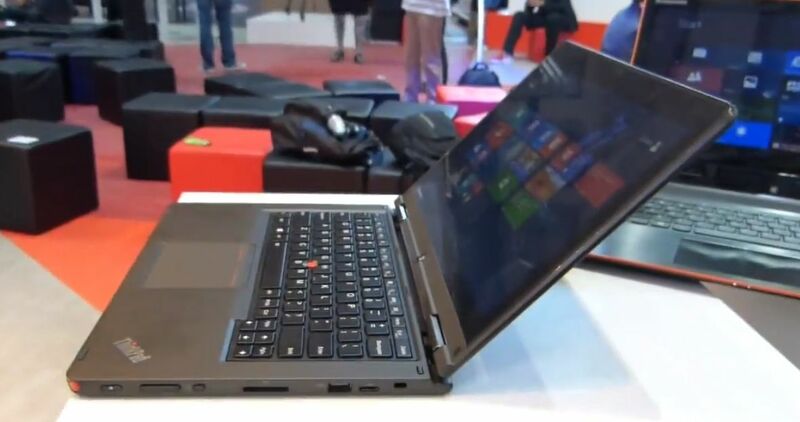 Lenovo is taking it’s convertible Ultrabook design into the business world, today announcing the ThinkPad Yoga. 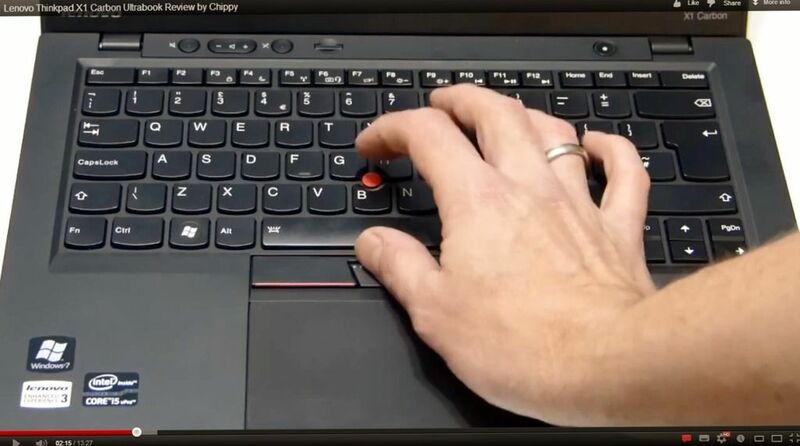 The ThinkPad Yoga comes with a unique keyboard that hides away when the unit is in tablet mode to create a smooth back to the unit. Dell have announced a Latitude 7000 series laptop that, in some configurations, will be an Ultrabook. It’s aimed at business and education, offers VPro and other business features, a large set of options and comes in 12-inch and 14-inch versions, unlike the similar Latitude 6430U, Ivy Bridge Ultrabook that only came in a 14-inch version. Some Ultrabooks focus on getting things done and although the end result is often a little on the dull side you can sense that you’re moving faster than with some other laptops and Ultrabooks. 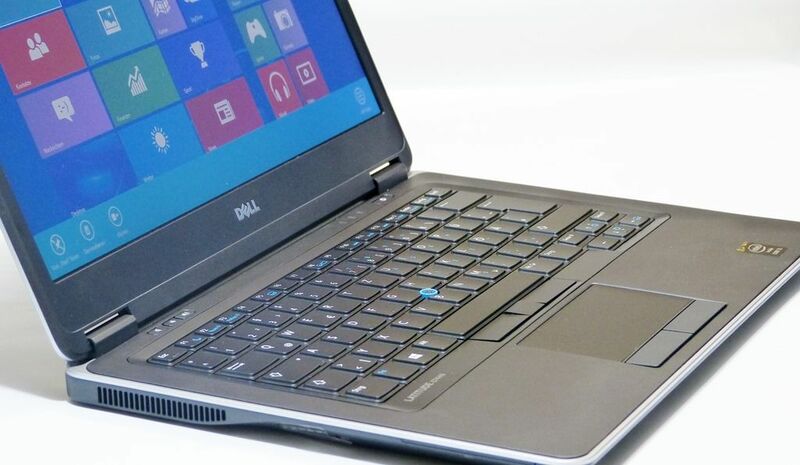 The Dell Latitude 6430U is one of those Ultrabooks and we’ve just had the pleasure of a few weeks testing it. Full review below. ; Overview review video at the bottom of this post. The Dell Latitude 6430U is here and under my fingers. 1366×768 and a 36Wh battery is a shocking thing to be seeing on a new Ultrabook in 2013 but wait because it turns out that if you don’t like that you can change it, and that’s one of the key features of this device. It’s aimed at business users and because of that Dell is offering a huge range of configuration options and in among the variants is an Ultrabook I really should buy; Maybe you too. 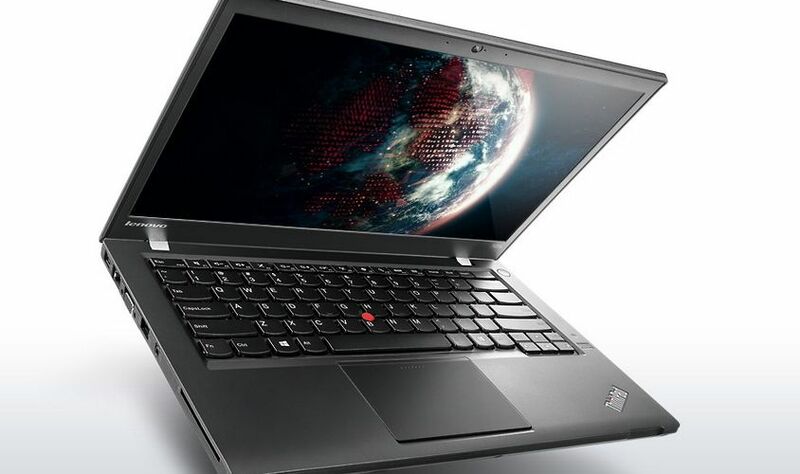 Lenovo has announced the ThinkPad T431s business Ultrabook, succeeding their prior T430s laptop. The new vPro equipped Ultrabook is aimed squarely at businesses, much like Lenovo’s premium ThinkPad X1 Carbon. 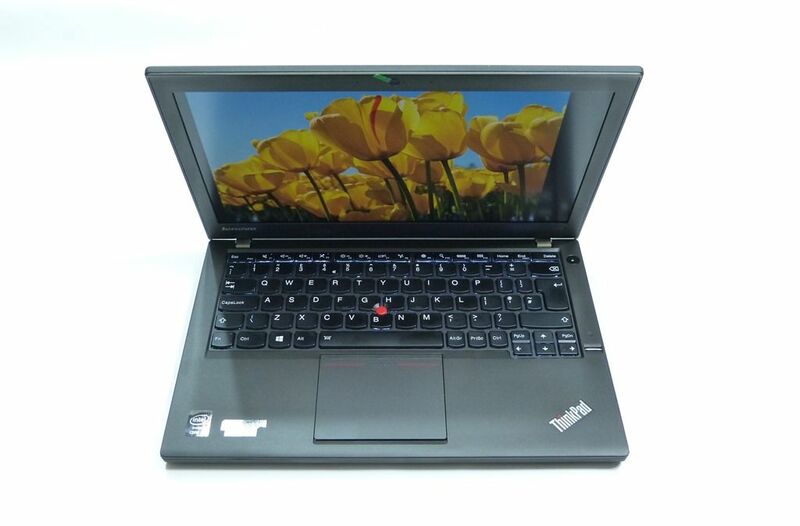 The T431s has a 14-inch 1600×900 display (which can fold back 180 degrees), backlit keyboard, up to 12GB of RAM, a fingerprint scanner, and more. As with many of its recent notebooks, Asus announced the Bu400 business Ultrabook several months ago — though it’s only just starting to near market availability. 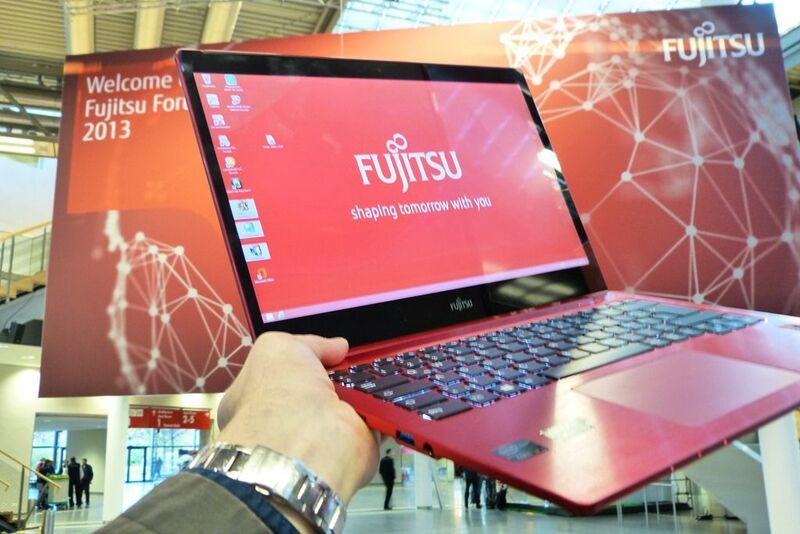 At CeBIT, Chippy got his hands on the Bu400V, the Core i7 model with discrete Nvidia GPU. The BU400 has a great port set and is a bit more square than the Zenbook series; I think it looks great — very professional and definitely suited for the boardroom. The BU400 has a big battery and is built for extra durability to survive against drops, spills, and apparently feet. 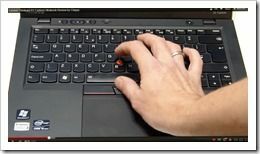 The full review of the Lenovo Thinkpad X1 Carbon was posted last week but today I’ve got a slightly more laid-back version for you as I talk you round this fantastic Ultrabook on video. See below for video, go here for the full review or check out our Lenovo Thinkpad X1 Carbon information page.